Many practitioners are struggling with issues including how to approach exit and how to ensure sustainability of interventions. 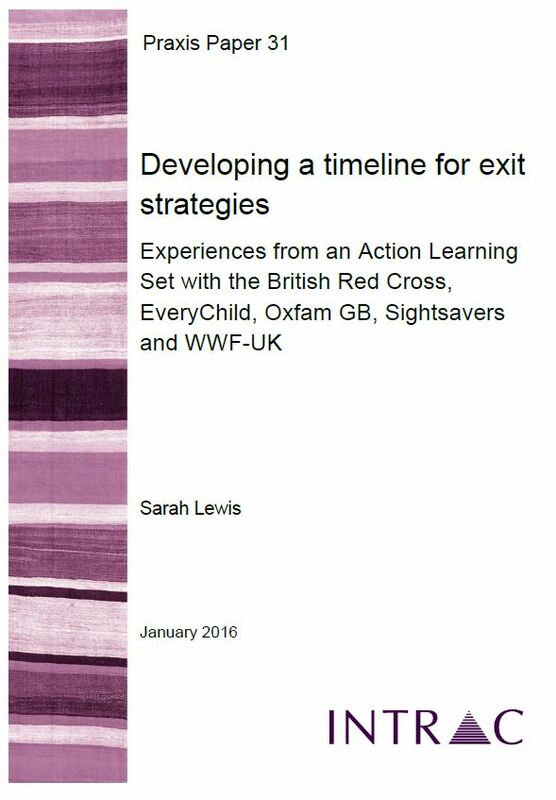 This paper collects and analyses learning from a year-long Action Learning Set on exit with the British Red Cross, EveryChild, Oxfam GB, Sightsavers and WWF-UK. It suggests important factors for practitioners to consider at key stages in the withdrawal process and provides practical examples from each organisation. It also demonstrates how using a timeline approach helped the group to order their thinking on exits.